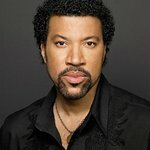 The two remaining members of the Bee Gees – Robin and Barry Gibb – are to recieve a special award from the Variety Club later this year. 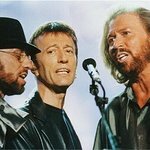 The brothers Gibb will be honored with the charity’s highest accolade, the Silver Heart Tribute Award, in recognition of their outstanding services to the music industry and charity over the last half century. Joining Barry and Robin at the event – to be held at the Palace Hotel in Manchester on July 24 – will be their 88-year-old mother Barbara, as well as Yvonne Gibb, the widow of Maurice Gibb. For 60 years Variety Club Children’s Charity has been helping sick, disabled and disadvantaged children and young people. They offer services such as “Sunshine Coaches” (minibuses for educational and fun outings) and also fund major hospital appeals. Each year the Variety Club donates electric wheelchairs, specialist beds, car seats, sensory equipment, standing frames and many other items that can change the life of a child in need. Only 500 tickets are available to the event and can be obtained from Judi Davies at the Variety Club on 0161 236 0500 or via email through varietyclubnw@ btconnect.com. Prices range from £125-£500 and includes a three course meal.